WP Engine is a web hosting company that promises the best managed WordPress hosting in the world. It’s a big claim, but they work exclusively with WordPress websites, designs, and themes so there’s no doubt they know what they’re doing. You may already know WordPress as the world’s most popular blog platform but it becomes even more with WP Engine, whether you’re a blogging expert or just beginning your journey. Started in 2010 by founders Jason Cohen and Ben Metcalfe in Austin, Texas, WP Engine provides fast and reliable WordPress hosting, all the while charging rates so reasonable they almost come across as arrogant. Despite this, WP Engine is uncannily professional. They have solid customer service and technical support, and consistently receive rave reviews for their performance, notably so from the team at Automattic (the creators of Twenty Ten, WordPress’s iconic default theme, and much of WordPress.com). Websites hosted by WP Engine are specially optimized for WordPress. The official technical support is fast, professional and well-versed in WordPress to help with any issues. When new versions of WordPress are released, you will be upgraded by WP Engine automatically. They ban certain WordPress plugins that would slow down the servers for everyone involved, but offer support for all other plugins. WordPress is one of the easiest blogging platforms to install and self-host, which makes it a soft target for hackers and spreaders of malware who are constantly looking for vulnerabilities in sites maintained by amateur webmasters. WP Engine uses the most current, sophisticated techniques to prevent hackers from gaining access through exploits, and even offers a “Hacker Cleanup Guarantee”. If your blog gets hacked, they bring their security team in and fix it for you. WP Engine supports Time Machine, a backup program that allows you to restore your website to a point of your choosing called a checkpoint. You can set up continual updates and checkpoints including creating them before you install a new plugin. They have their own server side caching technology called “EverCache”, so you don’t need to install any plugins. This server side caching provides faster proficiency than an individual plugin like W3 Total Cache and WP Super Cache. WP Engine gives you the option of trying out changes in your CSS without activating them. Having a staging area is a great benefit at helping you to install WordPress while making changes, to see how it works before you push it out to your live site. The management dashboard uses the same URL and pass code so you don’t have to remember another code to use your dashboard. This is not only efficient but also an incredible time saver. With WordPress being such a flexible system they can help you to customize your installation as your need dictates. Initial set up of your website will be so much easier. The dashboard is simple to maneuver and quite simple to set up. 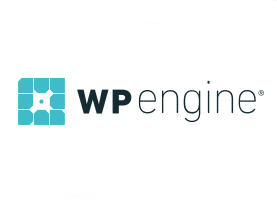 WP Engine has excellent engineers and since they only host WordPress sites, they’ve built a Content Delivery Network that makes sites load much faster. More experts on staff per 1000 customers to answer questions. These people are experienced in WordPress, and they are the best in tech support. They are professional and seem to enjoy helping people and will go the extra mile to solve your problem. With their own page and object caching system they are really fast. You won’t have to use your own caching plugins. Pingdom has reported that the pages load faster than most of the websites in the world, which is an essential ingredient in any kind of website hosting and not just WordPress. They scale incredibly well. Customers have reported over 300 hits/second that have spiked without notifying them first and been handled normally. If you get hacked they will ‘un-hack’ you as a free extension of their superb tech support. They are the only hosting company that contracts with Sucuri to scan every customer. They internally contract with professional DDoS blockers to protect your site from attacks. You have access to features that have the ability to host locally in Europe or Asia with self serve back up snapshots. This backs you up on your own S3 bucket with more in your pipeline. Whether your need is for small sites or large ones you can get 100m+ page views/month. They also offer dedicated hardware, SSL and dedicated IPs. All hosting services come with a 30-day money back guarantee because they know you’re going to love it. Some people have changed, thinking they could find something better, but almost all of them return because they already had the best WordPress hosting with WP Engine. Take advantage of WP Engine’s special hosting deal: sign up for 1 year and get 2 months free! This is an excellent way to save money and get started with professional WordPress hosting. Many thousands of other bloggers are using it and getting the best benefits of managed WordPress hosting so why shouldn’t you?